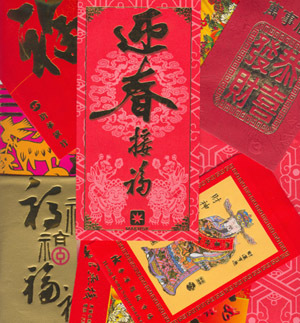 In Chinese society, a red envelope or red packet / red pocket (Known as Hong Bao in Mandarin, Ang Pao in Hokkien and Lai See in Cantonese, 红包) is a monetary gift which is given during holidays or special occasions. There are no clear literary sources from which to trace the origin of the red envelope tradition. In China, during the Qing Dynasty, the elderly would thread coins with a red string. The money was called yāsuì qián (traditional Chinese: 壓歲錢 压岁钱), meaning "money warding off evil spirits", and was believed to protect the elderly from sickness and death. The yāsuì qián was replaced by red envelopes when printing presses became more common after the establishment of the Republic of China in 1911. 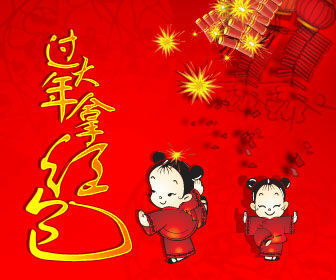 Red envelopes are also referred to as yāsuì qián. Similar customs also exist in other countries in Asia. In Vietnam, red envelopes are called lì xì, similar to the Cantonese pronunciation "lai see". In Thailand, they are known as ang pow (the pronunciation of the Chinese characters for "red envelope" in the Hokkien/Fukien dialect) or tae ea among the Chinese-Thai. In Myanmar (Burma), the Burmese Chinese refer to them as an-pao (Burmese: ), and South Korea's envelopes are called "sae bae ton".